Pupkewitz Megatech is pleased to announce the establishment of a Joint Venture with Khomas Solar-Saver, theThe joint venture company, Innovasun (Pty) Ltd (“the Joint Venture”), will provide the various businesses that make up the greater PUPKEWITZ Group with the opportunity to install customized rooftop solar photovoltaic systems under SolarSaver’s unique solar rental solution. The agreement was concluded in February 2018. SolarSaver was formed in 2016 and offers a long-term rental solution for the installation of rooftop solar photovoltaic (“solar PV”) systems to commercial and corporate clients in Namibia. The business model enables clients to install a complete solar PV system without any capital outlay. Instead, clients pay a monthly rental to SolarSaver for use of the system and the rental terms are priced to ensure clients will always save money through use of the SolarSaver system. 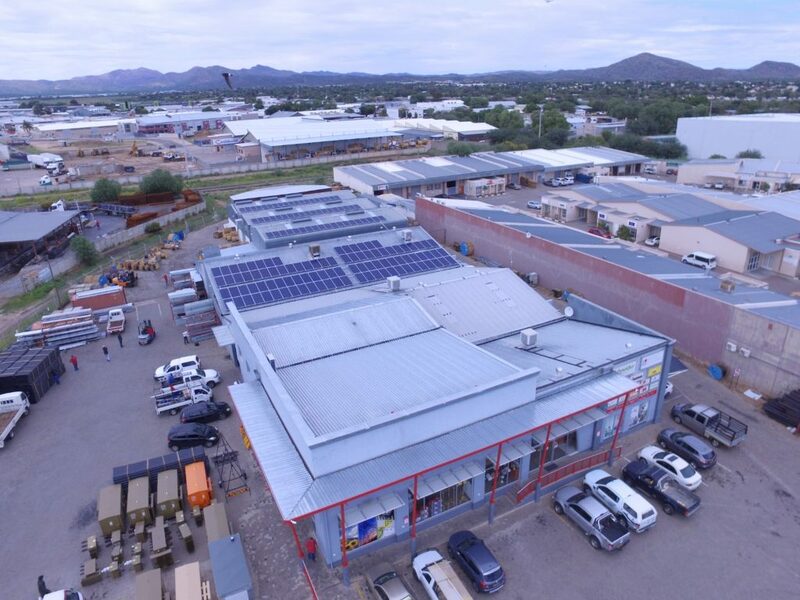 “Our current rental portfolio includes 46 solar PV systems, with clients ranging from retailers to fuel stations to hospitals, and many other businesses in between. Demand for our offering has been tremendous and our project pipeline should see us commission a further 60 solar PV systems this year”, said Mr Tim Frankish, a director of SolarSaver. “Our clients appreciate the opportunity to ‘go green’ and reduce their monthly electricity costs without the expense and hassle of buying and maintaining their own rooftop systems”, he continued. “This joint venture presents the PUPKEWITZ Group with a unique opportunity to reduce its environmental footprint and create value for its shareholders via the widespread adoption of rooftop solar PV. We’re also excited to now be able to offer PUPKEWITZ Megatech clients the chance to install customized solar systems without the need for any upfront capital”, said Mr Morne Nell, Managing Director of PUPKEWITZ Megatech.